I picked three different kinds of artists after referring to a lot of information and watching their performances. They are all new faces that have either already made their major debut or will make their major debut this year. I believe that all of them are promising and have good talents. She first attracted people's attention as a finalist of auditions held by Exile, one of the most popular Japanese dance & vocal groups, out of 30,000 people in 2011. She was defeated in this audition, but the next year she won the grand prize in a competition held by a major record company out of 10,000 people. She made her major debut early this year. Her soft voice, which makes listeners feel at ease is known as "the misty voice". A dance & vocal group of 5 members. Their strong performances and good looks have already gained much popularity with females, especially young ladies. They are sometimes treated as if they are younger brothers of AAA(Triple A) which is a very popular group in Japan. 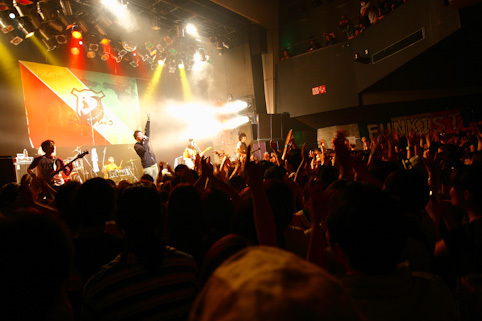 They played the opening act of AAA's event in 2012. All members used to be classmates at a high school in Hamura City, which has the smallest population of the cities in Tokyo. They play such cheerful and uplifting songs that they are popular mainly with female high school students. Their cheerful music is called "Party Rock". Since they put importance on lives, it looks like the audiences are always having fun and living up their lives.